‘Tis the season to be jolly… and if you’re expecting a little elf to join your family, add a little more cheer to your holidays with these fun holiday-themed pregnancy announcements! 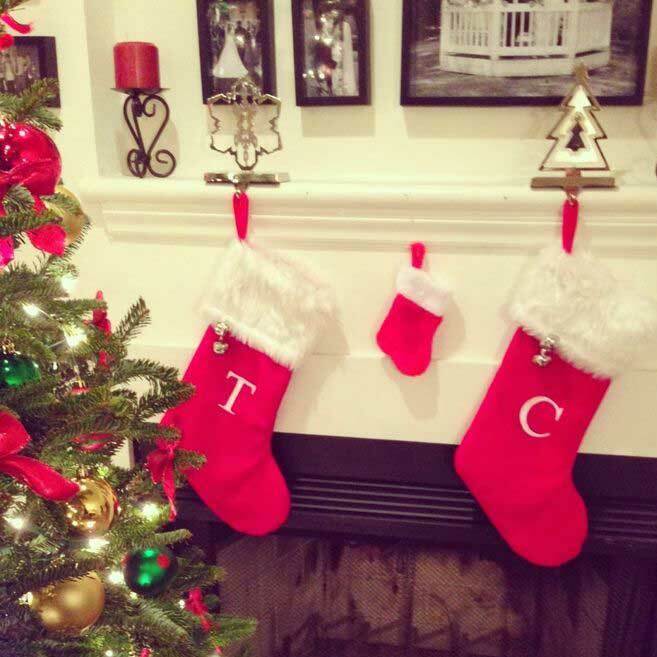 Hang the stockings with care. Take a photo of your stocking by the fireplace and have a mini stocking hanging in the middle to represent your growing bundle of joy. Place a bow on your belly with a note announcing “do not open until [your due date]” and share the photo with loved ones as a fun way to unwrap the news. Let the elf help out. 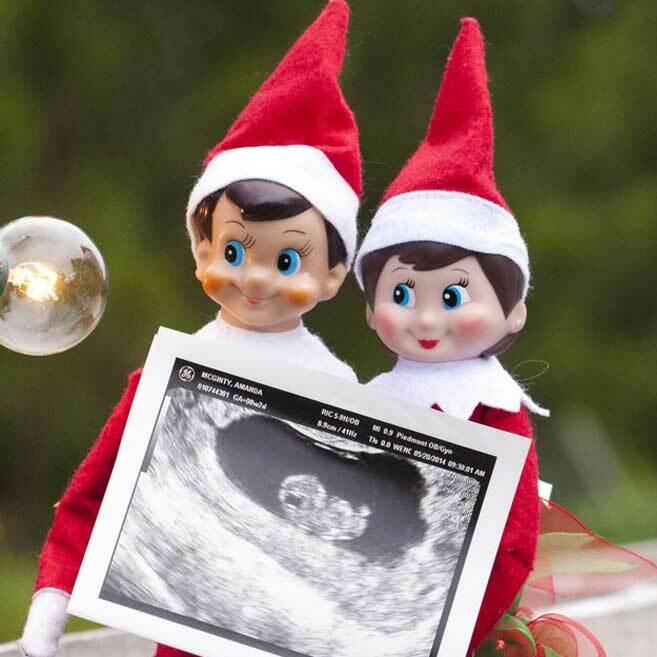 If you want to include some characters in your announcement let the Elf on the Shelf reveal the news by either holding your ultrasound, your positive pregnancy test or a pair of baby booties. 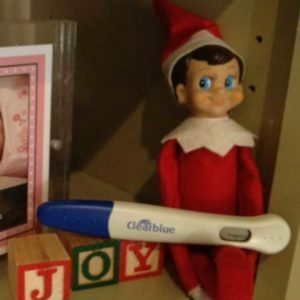 Light the menorah, or kinara. 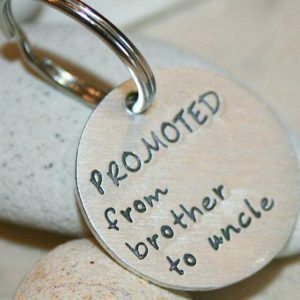 Give the gift of surprise. 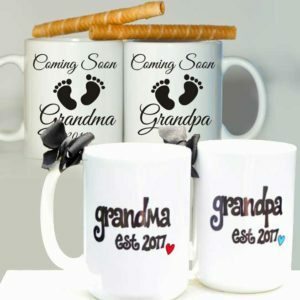 Give a playful gift of alcohol, wrapped up with a nice note explaining that your recipient can enjoy it for the two of you, as you will be partaking of a nine-month sobriety. 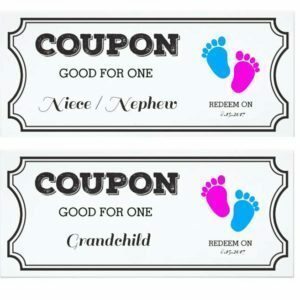 Share coupons for holiday savings. 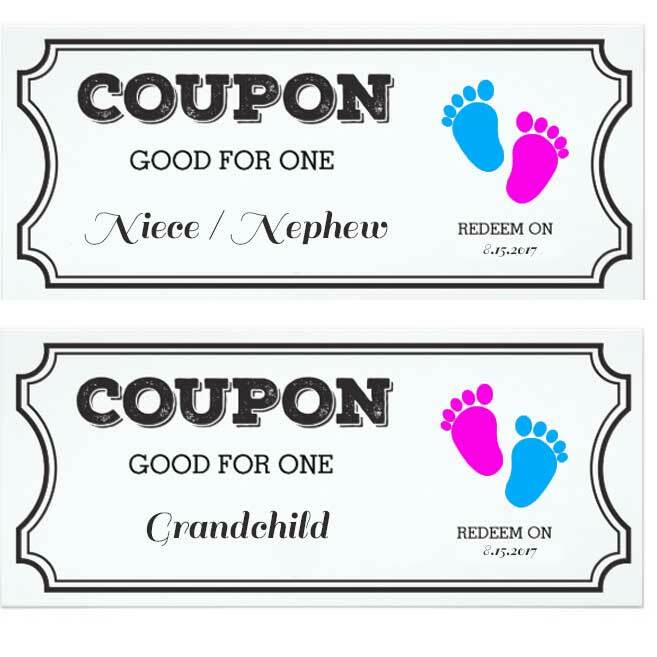 Everyone likes those handmade coupons. 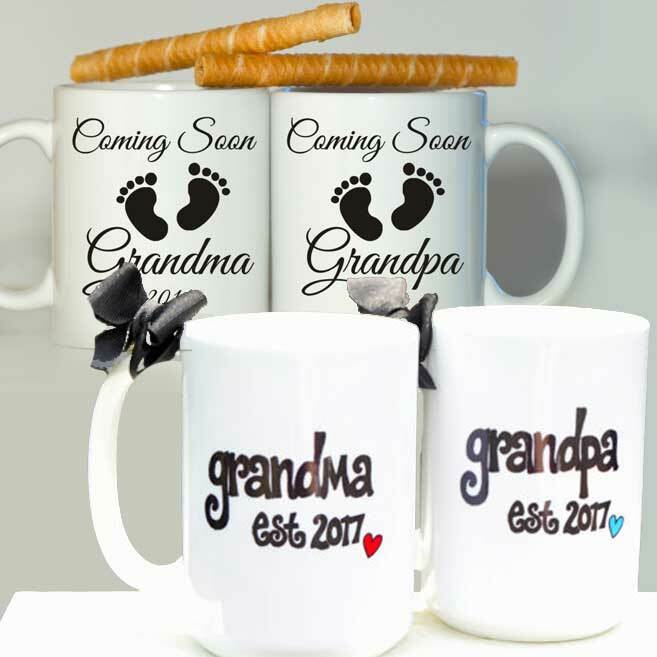 Put together a coupon, and make it good for one grandchild, great-grandchild, niece or nephew. Remember to include the redemption date and incorporate your due date. 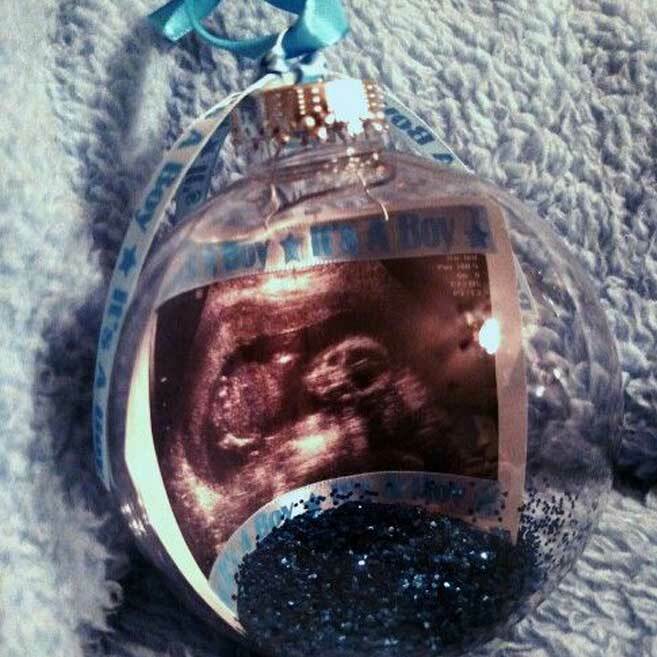 Share a mini photo of your ultrasound inside an ornament. 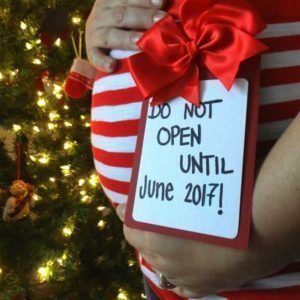 You can use a traditional picture frame ornament or curve the ultrasound image inside the back of a clear glass ball. If you already know your baby’s gender, top off the ornament with a little blue or pink ribbon or glitter. 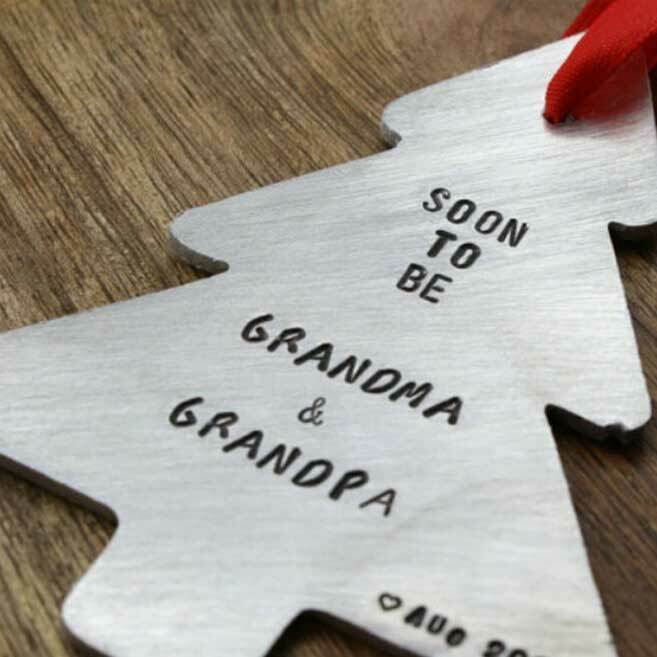 Your best gift may not be hiding under the tree this year, but sharing the excitement can be perfectly wrapped up with a ribbon and a bow.